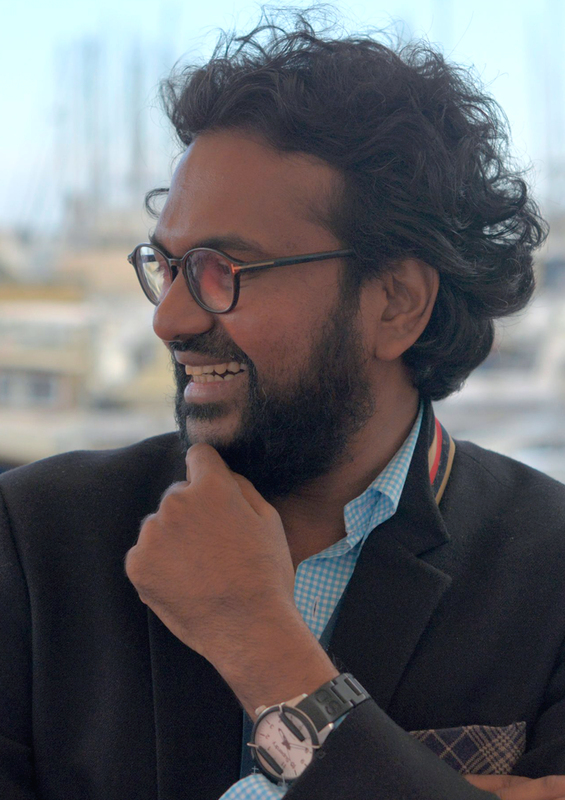 Vimukthi Jayasundara is the internationally acclaimed director of The Forsaken Land (2005), winner of the Golden Camera at Cannes Film Festival 2005; Between Two Worlds (2009), in competition at Venice International Film Festival 2009; Mushrooms (2011), shown at the Cannes Directors’ Fortnight 2011; Dark in the White Light (2015), in competition at Locarno Festival 2015; and Her Him the Other (Asoka Handagama, Vimukthi Jayasundara, Prasanna Vithanage, 2017), which screened in the Open Doors at Locarno Festival 2018. He is an educator, as directing mentor at Busan International Film Festival’s Asian Film Academy 2016, and also head of Colombo Film & Television Academy in Sri Lanka. His next project, The Question of Innocence, which is currently in the development stage, discusses that most certain aspect of life; death. Sumudu Malalagama is a creative producer and alumnus of the Busan Asian Film School (AFiS). She is currently working as the coordinator of Colombo Film & Television Academy, Sri Lanka. Sri Lankan feature film, Ikka (Kaushalya Madhawa Pathirana, 2016), was her debut film as producer. Her second project, Heli; the Daughter, won the development grant at the AFiS Project Pitching during the Asian Film Market 2017. She also participated in the Locarno Festival Open Doors lab in 2017. Currently, she has a few feature film projects in the production stages, and The Question of Innocence by Vimukthi Jayasundara is just one of her major projects in the pipeline. The Question of Innocence is a story about a little girl named Sathya who has an ability, a kind of sixth sense, to foretell exactly the day a person will die. Through all the difficulties, her mother and her nanny, a retired teacher, try to protect her, while her father refuses even to think about the possibility of his daughter’s ability being genuine. The neighbors believe that Sathya is evil because whenever she predicts a death, that person dies, but they do not want to accept that everyone must die someday and perhaps this child is gifted. After facing so many difficulties and going through so many family issues, her mother decides to take Sathya away from society, out into nature where she belongs. Humankind is not ready to know about death, which is the most certain and yet the most unexpected aspect of life.